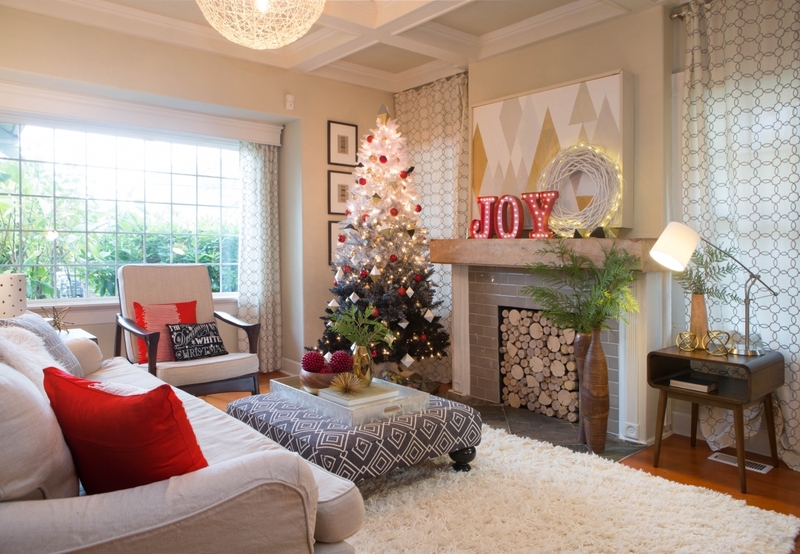 With another Christmas Season quickly upon us, a little decorating inspiration is all we need to set our homes aglow. 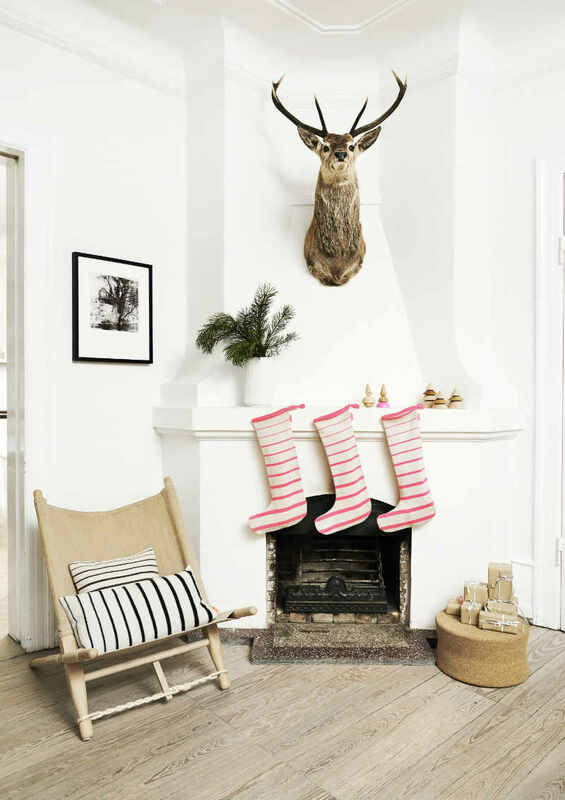 If it’s clean simple lines, neutral tones and natural elements you love then the Scandinavian Style is perfect. Pick your pieces carefully if your going for this look as less is more and what you do pick should pack a BIG punch. Look for natural elements and incorporate them into your decor. Living on the coast offers a range of beach themed decor items for those striving for the Coastal Contemporary look. 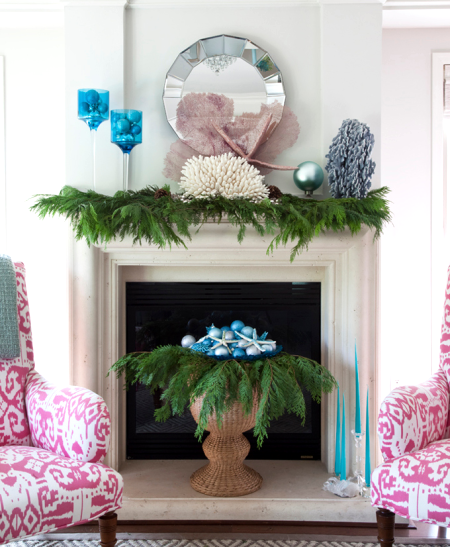 Natural shells, drift wood, corals and rope or twine can be added to your Christmas decor in many ways to make one feel like santa is traveling by boat this year. Have a tendency to reach for chunky, meaty pieces that look like they have been though the ringer? Then the Vintage Rustic look is probably for you. Look for weathered unique items to add to your decor, as well as burlaps, grasses and woven rugs. 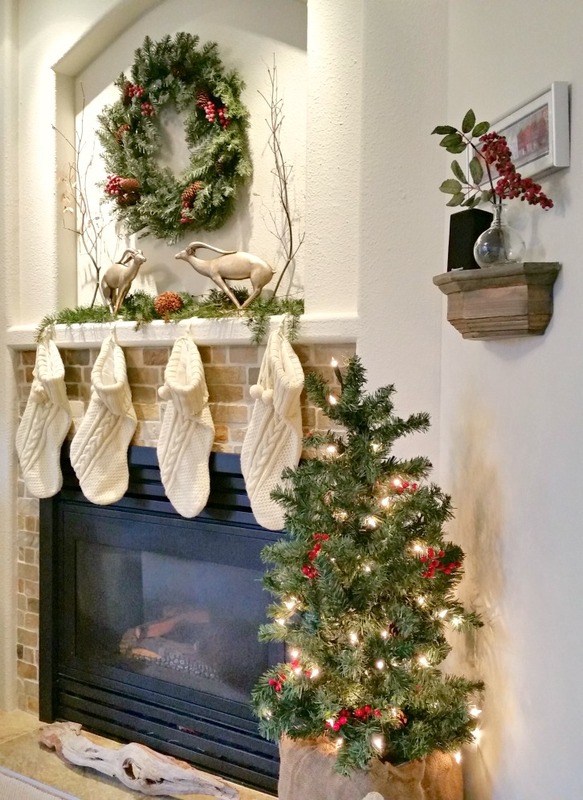 This mantel makes me think Mountain Retreat. A rugged holiday for those that love spending time outdoors snowshoeing, skiing or ice fishing. 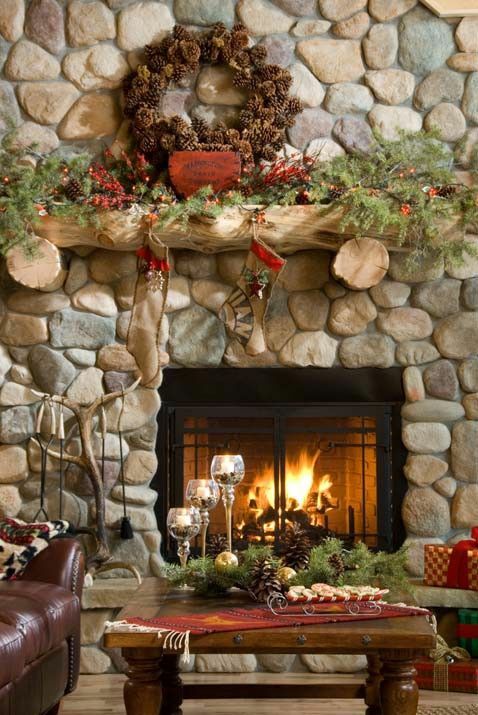 Again, a no frills style of decorating with loads of natural elements and deep warm cozy colours and heavy materials. A little Shabby Chic Christmas. Distressed painted furniture pieces with hits of glam and pretty colours. This style is perfect for soft colours, florals, ornate pieces made casual and everything feminine and beautiful. 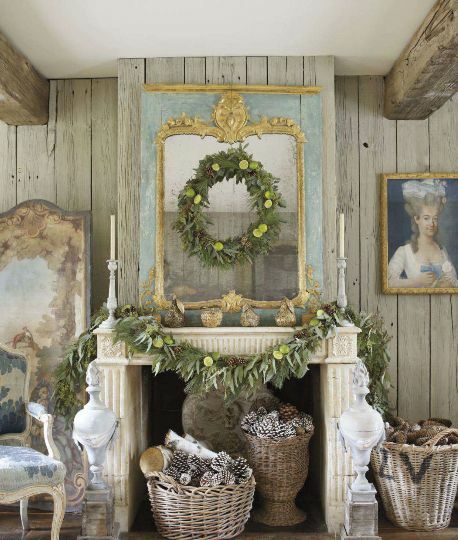 No decor blog would be complete without a little Parisian Inspiration found in this French Country Christmas Mantel. Rustic beams and weathered wood paneling set the stage for this image. Think formal, ornate, classic furniture styles, antique pieces and symmetry. And nothing says french country more than an ornate gilded mirror or frame. Classic! If it’s a Mid Century look that you are after, think bold graphic pieces with simple, clean sometimes exaggerated lines. 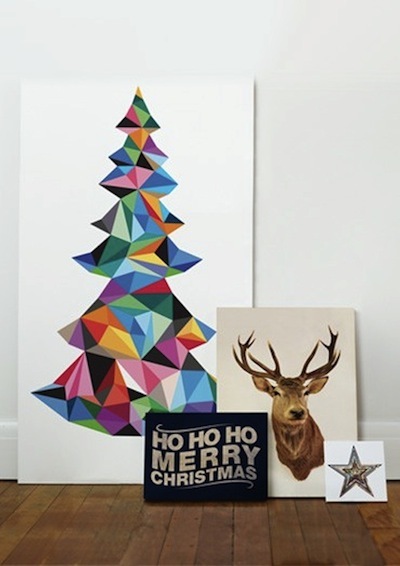 This is a no frills style that can come alive with bright pops of colour, sparse trees complete with vintage bulbs and graphic prints. I personally don’t go crazy when it comes to Christmas decor. I like to keep things simple with a few key pieces. 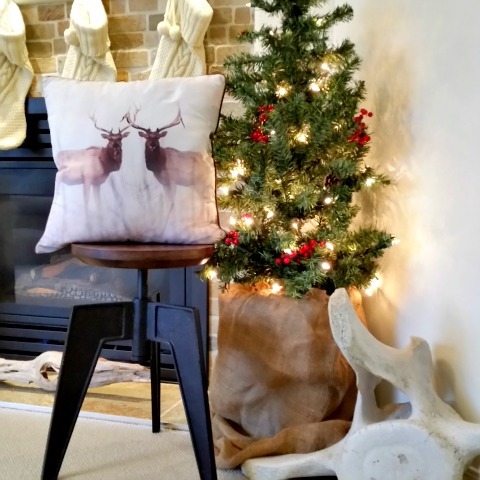 A wreath, a small tree skirted in burlap, a few branches, some driftwood, a whale bone, animal throw cushions, a couple of Canadian made Antelope ( the pooping Antelope as my daughter calls them due to their posture. I personally prefer to call them the kissing Antelope ) and the knit stockings. 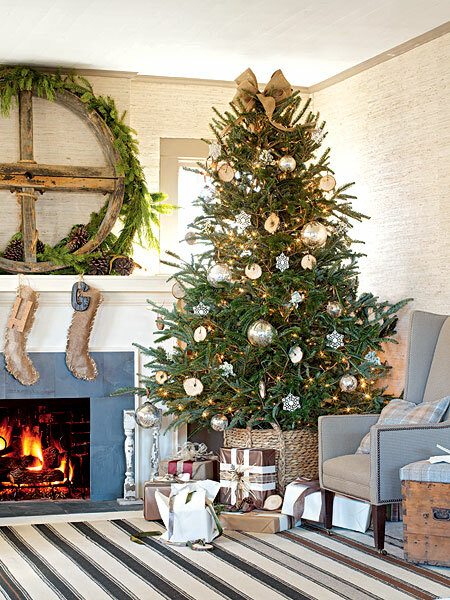 I tend to like Naturally Rustic Christmas decor, but much like my home there is a mixture of elements and styles. Whatever your style, have fun and try new things. But most of all, enjoy the holidays and time spent with family and friends. The Ottoman: What’s Your Style?